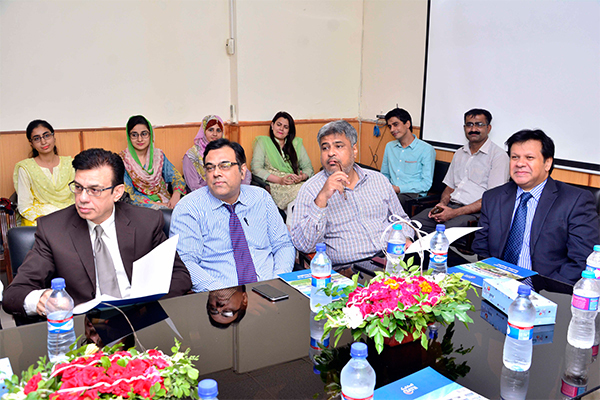 The School of Health Sciences (SHS) at UMT inked an MoU with Surraya Azeem Teaching Hospital for future collaboration, training and practical exposure of medical students and faculty involvement in knowledge transformation. 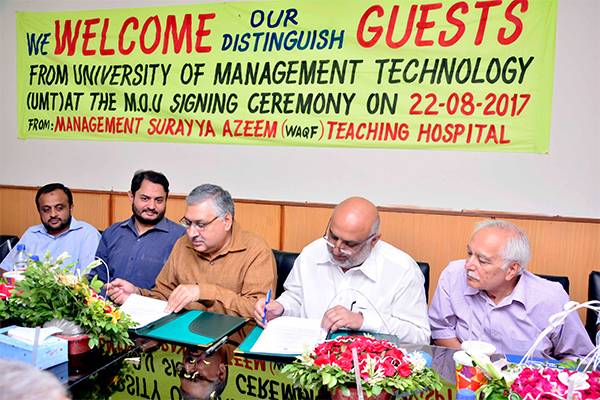 Abid H K Shirwani, Director General UMT, and Iftikhar Chaudhry, member of the Governing Body, Surraya Azeem Teaching Hospital, signed the deal and later on exchanged the files. 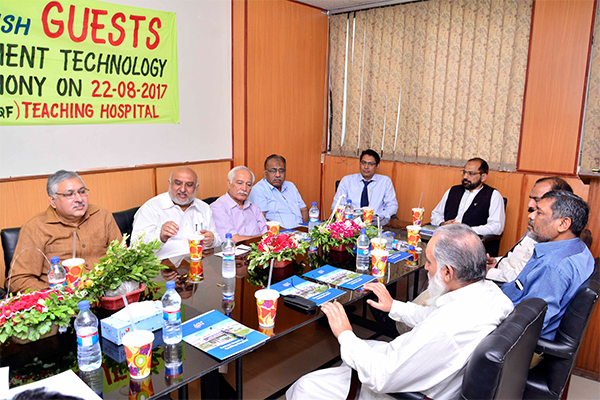 Zikrullah Mujahid, President Governing Body, Surraya Azeem Teaching Hospital, Brigadier Dr Muhammad Arshad Zia, Surraya Azeem Teaching Hospital, Dr Naveed Afzal, Director, School of Health Sciences, and Asif Saeed Haider, Principal Secretary to Rector, graced the event with their presence. Speaking on the occasion, Abid H K Shirwani said that partnering with the Surraya Azeem Teaching Hospital would result in great learning opportunity for SHS students. He said UMT students would get practical exposure and a sense of professionalism by doing an internship and house-job at the Hospital. 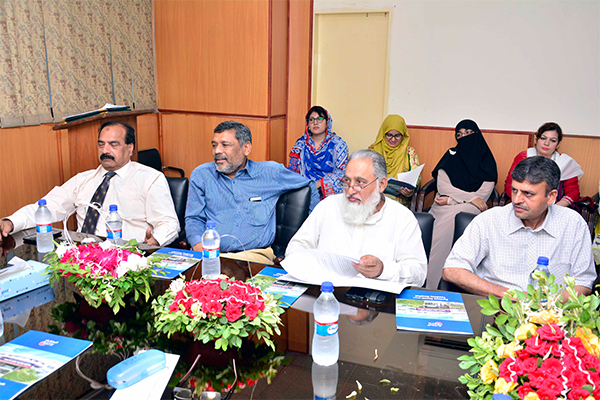 Expressing his views, Zikrullah Mujahid said that it was a matter of great pleasure to connect the Hospital with UMT; an inspiring modern institution of higher education. He said that Surraya Azeem Teaching Hospital is working purely on the professional grounds, and catering the humanity with a passion and devotion. It is worth mentioning that after affiliation with Surraya Azeem Teaching Hospital, both the faculty and students of SHS will find plenty of opportunities to do health research, improve expertise, add value to the performance of the Hospital and get experience in different specialties and with different kinds of patients.